Anyone can build an app and offer air charter services. But very few such companies actually incorporate all aspects of safety management into their selling and aircraft release process, and only a select few do so under an approved Safety Management Program that meets the requirements of the International Civil Aviation Organization (ICAO). Before your flight is dispatched, it undergoes extreme scrutiny regarding its maintenance status, inspections, and overall performance. If at any point we find an operator aircraft is not within our safety margins, it simply does not fly. Of course, the best safety device on an aircraft is an experienced pilot. Our partners require their captains to hold Airline Transport Certification and have thousands of flight hours before joining the flight team. First officers are required to have more initial hours than prescribed by regulation, and they are paired with experienced captains to ensure each of your aircraft is piloted by the best at all times. Pilots also undergo rigorous, airline-quality training conducted by Flight Safety International every six months, and Federal Aviation Administration-approved Check Airmen conduct line checks on each of our captains and first officers on a regular basis. To serve the entire nation, TapJets partners with carriers that share its focus on safety, on-time dispatch, service performance, and spotless safety records. Because these partners provide their aircraft and pilots to transport TapJets clients, we require that they operate under the same standards, regulations, and processes as we do. We also insist that they agree to random safety and line checks performed by TapJets management and qualified Check Airmen. If you’re interested in becoming one of our partner carriers, please visit the Partners section of this website. Wyvern Consulting was the first aircraft safety auditing firm in the country. Providing services to operators in the U.S. and some parts of Europe, the company offers different levels of audits that comply with industry standards. Registered Operator is its entry-level program in which operators have their records on file in the due diligence-related Registered Standard PASS Program that Wyvern’s corporate, operator and broker clients have access to before a flight. 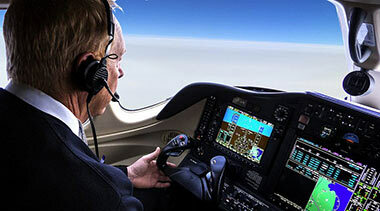 Following the entry-level tier is the Wingman Standard, which only a fraction of operators maintains. Operators at this level adhere to specific processes and parameters that reflect the latest safety best practices.